The U.S. House of Representatives has passed a bill encouraging partnerships with private companies supporting research on clean nuclear power. 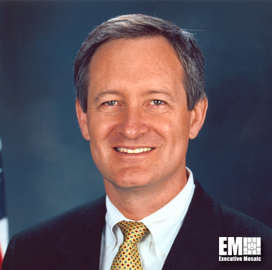 The Nuclear Energy Innovation Capabilities Act would require the Department of Energy to collaborate with private sector firms aiming to test new nuclear reactor concepts, the office of Sen. Mike Crapo, R-Idaho said Thursday. The bill would also establish a National Reactor Innovation Center that would leverage the combined expertise of the DOE, the Nuclear Regulatory Commission and National Labs to build prototype reactors. “The passage of this legislation underscores the strong bipartisan commitment in Congress that nuclear energy must be maintained as a reliable, safe, clean and efficient part of our national energy portfolio,” said Crapo. Crapo introduced the bill in January 2017, with the support of Sens. James Risch, R-Idaho, and and Sheldon Whitehouse, D-R.I.